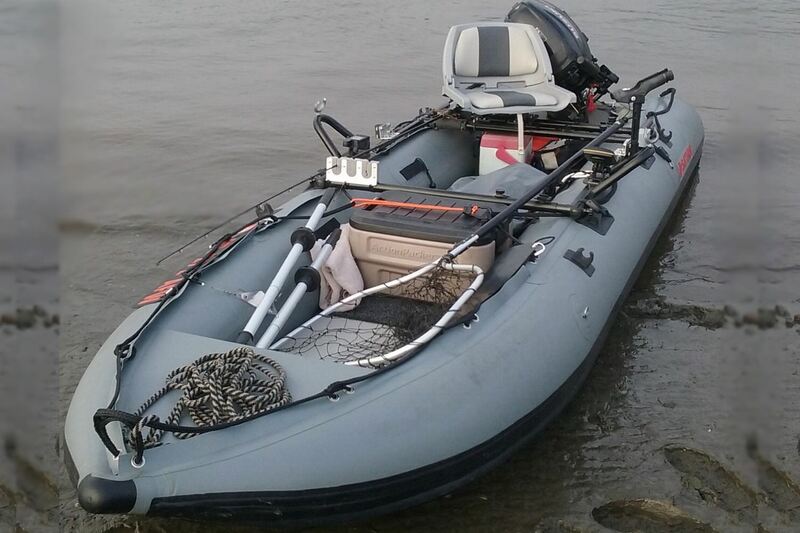 Aluminum Rowing Raft Frame For Inflatable Boats and River Rafts. Easy to assemble and disassemble rowing frame allows more comfort for fishing and rowing than regular aluminum bench on inflatable boat. You can install swivel platform and comfortable folding fishing chair to better fit and longer hours of fishing. Frame width is adjustable to fit variety of raft and boats. 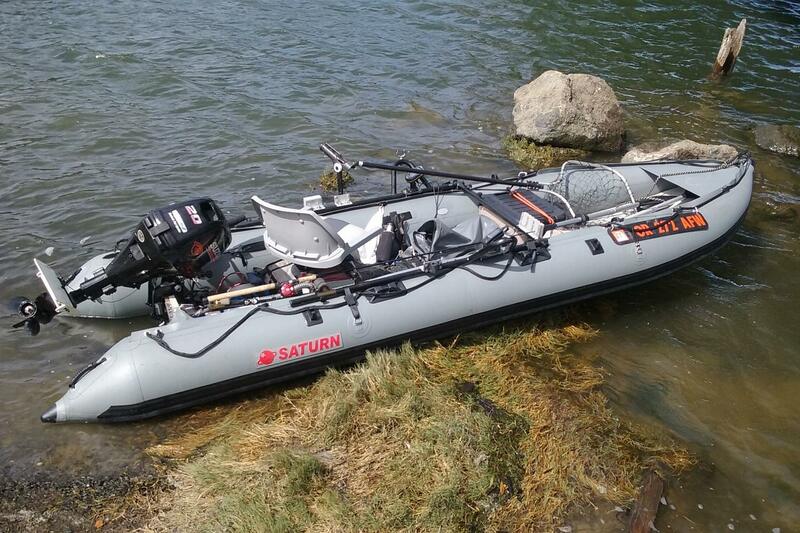 Anywhere from narrow KaBoat to SD518 Saturn boat and most rafts. 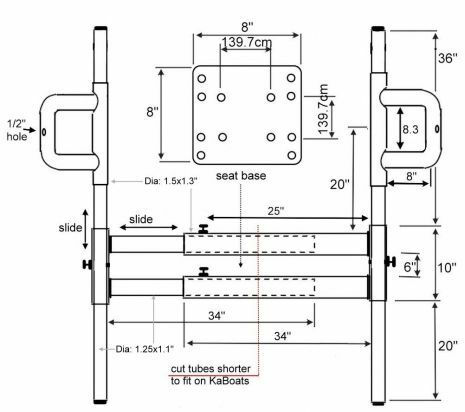 To fit on more narrow KaBoats, as a DIY project, frame tubes need to be cut shorter with hacksaw, and holes need to be re-drilled to use screws to keep frame at set width. Folding frame made of heavy duty, rust resistant anodized aluminum. Can be disassembled for easy storage and portable transportation. 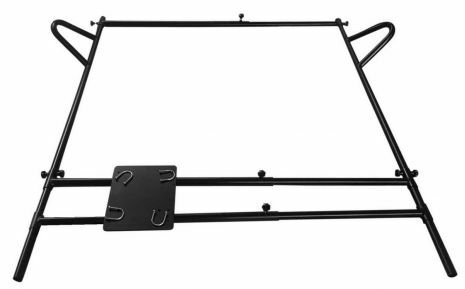 To use this frame you will need following optional accessories (not sold by BoatsToGo.com): seat of adjustable straps to secure frame to at least 4 attachment points, rowing oars, oarlocks, swivel base and fishing chair. 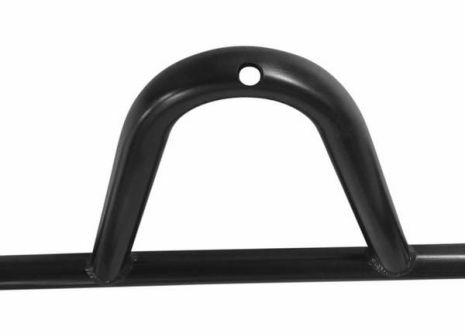 If boat or rafts does not have attachment points, such as D-rings on sides or splash guards with grommets on top of tubes, then optional glue-on D-ring patches need to be glued on both sides of raft or boat you are planing to use this frame on. 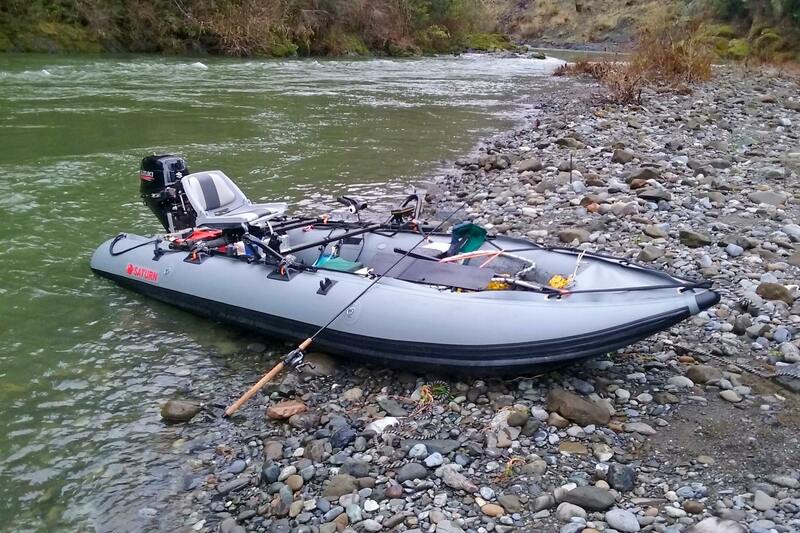 Larger tube: outer dia 1.5", inner dia 1.3"
Smaller tube: outer dia 1.25", inner dia 1.1"
PLEASE NOTE: Swivel, chair, straps, oars and oarlocks are NOT included, but can be purchased separately at many retail stores at very affordable prices. 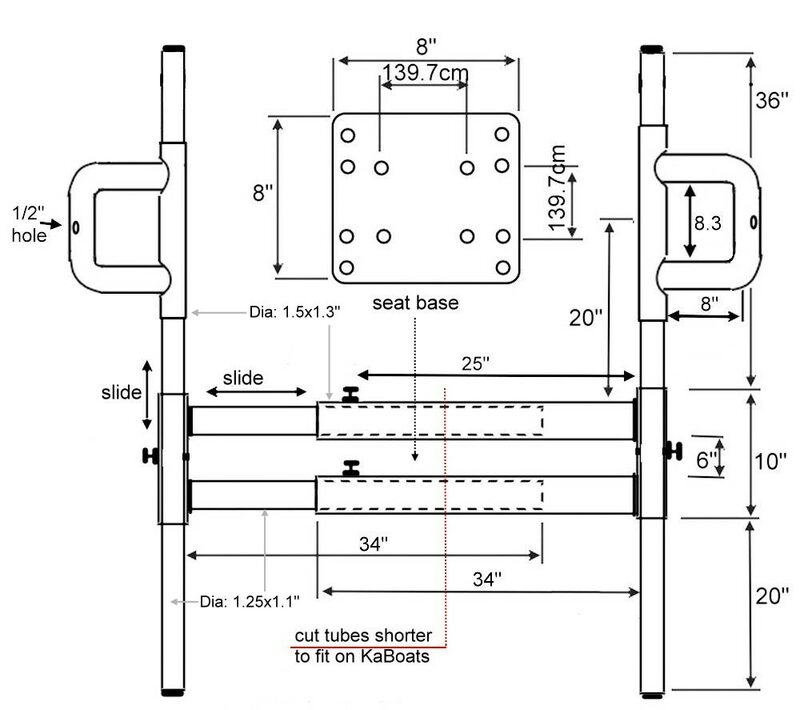 U-bolts are provided as free bonus gift, so that to secure swivel to seat platform included with this rowing frame. Installation instructions are not included, as it is new, customized product available in a small batch production run. However, assembly pretty much strait forward, as shown on pictures posted in this web page. 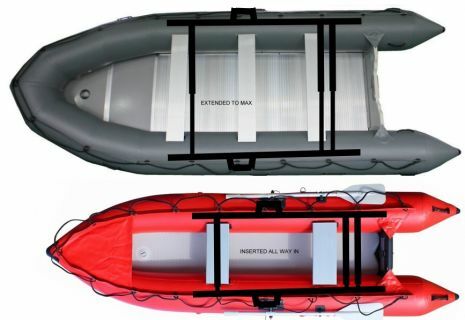 You may need to cut out perpendicular tubes shorter to make it easier to fit inside main frame for narrower type of boats, such as KaBoat. We recommend using WD40 to make assembly/disassembly easier. When inserting or removing side frame into or from main frame, try to hold both hands at both insertion points at the same time, and then move side frame inside or outside at equal distances/steps in order to avoid side frame getting stuck under the angle inside main frame. If it happen, step on side frame, spray with WD40 and pull main frame slowly, or use rubber mallet. Rowing Frame Unboxing And Assembly.